And from the dreadful foe defend us. Princes of the heavenly hosts, we, though unworthy, beg you to encircle us through your prayers under the shelter of the wings of your spiritual glory. Guard us as we come to you and sincerely cry: "Deliver us from dangers, O princes of the powers on high!" Hail, Virginal wisdom; hail, mansion of God, Where sevenfold pillars befit his abode. All stately without and all perfect within, He chose Him a dwelling undarkened by sin; For even before your miraculous birth you were free from the stain that has sullied the earth. Mother of all saints Living and dead, New star that shone Over Israel's head Sovereign of angels, Terror of hell, Be you our refuge, Who love you so well. And exalted Her above all His works. Have mercy on me, O God, according to your great mercy. And according to the multitude of your tender mercies blot out my iniquity. and may overcome when you are judged. and in sins did my mother conceive me. the uncertain and hidden things of your wisdom you have made manifest to me. you shall wash me, and I shall be made whiter than snow. and the bones that have been humbled shall rejoice. and renew a right spirit within my bowels. and strengthen me with a perfect spirit. and the wicked shall be converted to you. and my tongue shall extol your justice. with burnt offerings you will not be delighted. a contrite and humbled heart, O God, you will not despise. that the walls of Jerusalem may be built up. then shall they lay calves upon your altar. Glory be to the Father and to the Son, and to the Holy Spirit, as, it was in the beginning, is now, and ever shall be, world without end. Amen.. It is truly right to bless you, O God-bearing One, as the ever-blessed and immaculate Mother of our God. More honourable than the cherubim and by far more glorious than the seraphim; ever a virgin, you gave birth to God the Word, O true Mother of God, we magnify you. Virgin of virgins, you were untouched by that stain of sin, that first of all evils, the sad inheritance of the human race. From my earliest years I have placed my hope in you. Where the power of evil overcomes me and makes my life too sinful for your gaze, all the more will your unbounded compassion show me your generous love, because my suffering is so deep, my sinfulness so unworthy of your aid. O Mother, how pure you are, you are untouched by sin; yours was the privilege to carry God within you. O Lord, you have been our refuge from generation to generation. from eternity and to eternity you are God. Be converted, O you sons of men. For a thousand years in your sight are as yesterday, which is past. And as a watch in the night, things that are counted nothing, shall their years be. in the evening he shall fall, grow dry, and wither. For in your wrath we have fainted away: and are troubled in your indignation. You have set our iniquities before your eyes: our life in the light of your countenance. For all our days are spent; and in your wrath we have fainted away. Our years shall be considered as a spider: the days of our years in them are threescore and ten years. But if in the strong they be fourscore years: and what is more of them is labour and sorrow. For mildness is come upon us: and we shall be corrected. Who knows the power of your anger, and for your fear can number your wrath? So make your right hand known: and men learned in heart, in wisdom. Return, O Lord, how long? and be entreated in favour of your servants. We are filled in the morning with your mercy: and we have rejoiced, and are delighted all our days. for the years in which we have seen evils. Look upon your servants and upon their works: and direct their children. and direct the work of our hands over us; yea, the work of our hands do direct. The Lord God Most High has blessed you, Virgin Mary, above all the women of the earth. you islands, and you inhabitants of them. they shall cry from the top of the mountains. They shall give glory to the Lord, and shall declare his praise in the islands. he shall shout and cry: he shall prevail against his enemies. I will destroy, and swallow up at once. and I will turn rivers into islands, and will dry up the standing pools. these things have I done to them, and have not forsaken them. Sinless Virgin, let us follow joyfully in your footsteps; draw us after you in the fragrance of your holiness. I will sing to my God as long as I shall be. Put not your trust in princes: in the children of men, in whom there is no salvation. in that day all their thoughts shall perish. who made heaven and earth, the sea, and all things that are in them. the Lord enlightens the blind. and the ways of sinners he will destroy. your God, O Zion, unto generation and generation. The Lord possessed me in the beginning of his ways, before he made any things from the beginning. I was set up from eternity, and of old before the earth was made. He had not yet made the earth, nor the rivers, nor the poles of the world. and my delights were to be with the children of men. Blessed Lady, sky and stars, earth and rivers, day and night--everything that is subject to the power or use of man--rejoice that through you they are in some sense restored to their lost beauty and are endowed with inexpressible new grace. All creatures were dead, as it were, useless for human beings or for the praise of God who made them. The world, contrary to its true destiny, was corrupted and tainted by the acts of human beings who served idols. Now all creation has been restored to life and rejoices that it is controlled and given splendour by those who believe in God. The universe rejoices with new and indefinable loveliness. Not only does it feel the unseen presence of God himself, its Creator, it sees him openly, working and making it holy. These great blessings spring from the blessed fruit of Mary's womb. Through the fullness of the grace that was given you, dead things rejoice in their freedom, and those in heaven are glad to be made new. Through the Son who was the glorious fruit of your virgin womb, just souls who died before his life-giving death rejoice as they are freed from captivity, and the angels are glad at the restoration of their shattered domain. Lady, full and overflowing with grace, all creation received new life from your abundance. Virgin, blessed above all creatures, through your blessing all creation is blessed, not only creation from its Creator, but the Creator himself has been blessed by creation. To Mary God gave his only-begotten Son, whom he loved as himself. Through Mary God made himself a Son, not different but the same, by nature Son of God and Son of Mary. The whole universe was created by God, and God was born of Mary. God created all things, and Mary gave birth to God. The God who made all things gave himself form through Mary, and thus he made his own creation. He who could create all things from nothing would not remake his ruined creation without Mary. God, then, is the Father of the created world and Mary the mother of the re-created world. God is the Father by whom all things were given life, and Mary the mother through whom all things were given new life. For God begot the Son, through whom all things were made, and Mary gave birth to him as the Saviour of the world. Without God's Son, nothing could exist; without Mary's Son, nothing could be redeemed. Truly the Lord is with you, to whom the Lord granted that all nature should owe as much to you as to himself. O Virgin Mary, no other daughter of Jerusalem is your equal, for you are the mother of the King of kings, you are Queen of heaven and of angels. Blessed art thou amongst women, and blessed is the fruit of thy womb. Hail, full of grace; the Lord is with thee. we will give glory to Him, because He has shown His mercy to us. O Lord, our Lord, how wonderful is Your Name in all the earth! That being delivered from the hand of our enemies, we may serve him without fear, In holiness and justice before him, all our days. to direct our feet into the way of peace. The Lord God said to the serpent: I will make you enemies, you and the woman, your offspring and her offspring; she will crush your head, alleluia. Father, the image of the Virgin is found in the Church. Mary had a faith that your Spirit prepared and a love that never knew sin, for you kept her sinless from the first moment of her conception. Trace in our actions the lines of her love, in our hearts her readiness of faith. Prepare once again a world for your Son who lives and reigns with you and the Holy Spirit, one God, for ever and ever. To thee do we cry poor banished children of Eve. O Clement, O Loving, O Sweet Virgin Mary, pray for us O Holy Mother of God, that we may be made worthy of the promises of Christ. You are all beautiful, O Mary; in you there is no trace of original sin. for his mercy endures for ever. The Most High has made his dwelling place a holy temple. Glorious things are said of you, O Virgin Mary. Blessed be the God and Father of our Lord Jesus Christ, who has blessed us with spiritual blessings in heavenly places, in Christ: As he chose us in him before the foundation of the world, that we should be holy and unspotted in his sight in charity. Who has predestined us unto the adoption of children through Jesus Christ unto himself: according to the purpose of his will: Unto the praise of the glory of his grace, in which he has graced us in his beloved son. In whom we have redemption through his blood, the remission of sins, according to the riches of his grace, Which has super-abounded in us in all wisdom and prudence, That he might make known unto us the mystery of his will, according to his good pleasure, which he has purposed in him, In the dispensation of the fullness of times, to re-establish all things in Christ, that are in heaven and on earth, in him. Christ also loved the church, and delivered himself up for it: That he might sanctify it, cleansing it by the laver of water in the word of life: That he might present it to himself a glorious church, not having spot or wrinkle, or any such thing; but that it should be holy, and without blemish. Mary, Mother of God, we salute you. Precious vessel, worthy of the whole world's reverence, you are an ever-shining light, the crown of virginity, the symbol of orthodoxy, and indestructible temple, the place that held him whom no place can contain, mother and virgin. Because of you the holy gospels could say: BLESSED IS HE WHO COMES IN THE NAME OF THE LORD. We salute you, for in your holy womb he, who is beyond all limitation, was confined. Because of you the holy Trinity is glorified and adored; the cross is called precious and is venerated throughout the world; the heavens exult; the angels and archangels make merry; demons are put to flight; the devil, that tempter, is thrust down from heaven; the fallen race of man is taken up on high; all creatures possessed by the madness of idolatry have attained knowledge of the truth; believers receive holy baptism; the oil of gladness is poured out; the Church is established throughout the world; pagans are brought to repentance. What more is there to say? Because of you the light of the only-begotten Son of God has shone upon those who sat in darkness and in the shadow of death; prophets pronounced the word of God; the apostles preached salvation to the Gentiles; the dead are raised to life, and kings rule by the power of the holy Trinity. You have not let my enemies rejoice over me. I shall glorify you, Lord, for you have rescued me. Most Holy Trinity--Father, Son, and Holy Spirit--I adore Thee profoundly. 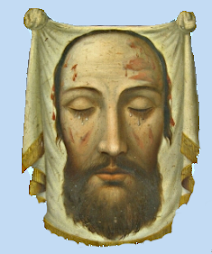 I offer Thee the most precious Body, Blood, Soul and Divinity of Jesus Christ, present in all the tabernacles of the world, in reparation for the outrages, sacrileges and indifferences whereby He is offended. And through the infinite merits of His Most Sacred Heart and the Immaculate Heart of Mary, I beg of Thee the conversion of poor sinners. O Queen of Heaven, I, who was once a miserable slave of Lucifer, now dedicate myself to you, to be your servant forever; I offer myself to honour you, and serve you during my whole life; do accept me, and refuse me not, as I should deserve. O my Mother, in you have I placed all my hopes, from you do I expect every grace. I bless and thank God, who in his mercy has given me this confidence in you, which I consider a pledge of my salvation. Alas, miserable wretch that I am, I have hitherto fallen, because I have not had recourse to you. I now hope that, through the merits of Jesus Christ and your prayers, I have obtained pardon. But I may again lose divine grace; the danger is not past. My enemies do not sleep. How many new temptations have I still to conquer! Ah, my most sweet Lady, protect me, and permit me not again to become their slave: help me at all times. I know that you will help me, and that with your help I shall conquer, if I recommend myself to you; but this is what I fear--I fear that in time of danger I may neglect to call upon you, and thus be lost. I ask you, then, for this grace; obtain that, in the assaults of hell, I may always have recourse to you, saying, Mary, help me. My Mother, permit me not to lose my God. My soul now magnifies the Lord. Hail Mary, full of grace; the Lord is with thee; blessed art thou amongst women, and blessed is the fruit of thy womb, alleluia. Receded, descending to man's lowly home. To take up the tenth in this nature of ours. And you the aurora Preceding his race. The serpent that lurks In night's desperate gloom . And like a luminous veil have spread it over the earth.